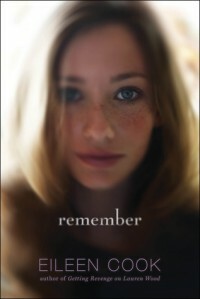 I love Suzanne Young’s The Program series and when I first read what Remember was about, it immediately reminded me of her books. This is the reason why I requested the book and I am glad I did. Harper and her family are good for life. They are living the dreams. Harper has a loving and smart boyfriend. Her father is genius and owns a company that manufactures drugs to help people with painful memories. She is happy. Her family is happy. Everything is going as planned. Until her horse dies. This is not just a horse. It was her loving member of her family. If you have a pet and love it with all of your heart, then you know how one can suffer with such loss. Harper couldn’t deal with the pain but with such pains, she started dreaming of a woman. Not to give the story away, Harper ask her father for the “treatment” his company produces but he refused for her to take it. Why? That is a great mystery. But stubborn, Harper looks for a way to take this treatment and ends up winning. Well, that’s what she thought! Until things starts revealing and Harper realized that her perfect family isn’t as perfect as she thought they were. Secrets start spilling out and this perfect life of hers is forever broken. Overall, Remember was an intriguing read. Lovers of mystery with a touch of romance would enjoy this novel. It was interesting to see Harper unravel the truth about her past. Even though her family portrait the perfect family, deep down Harper knew it was too good to be true. And when she realized the truth… you know the saying “the truth will set you free”... Yes, this surely set her free! If you’re a fan of The Program series, I recommend that you read Remember!